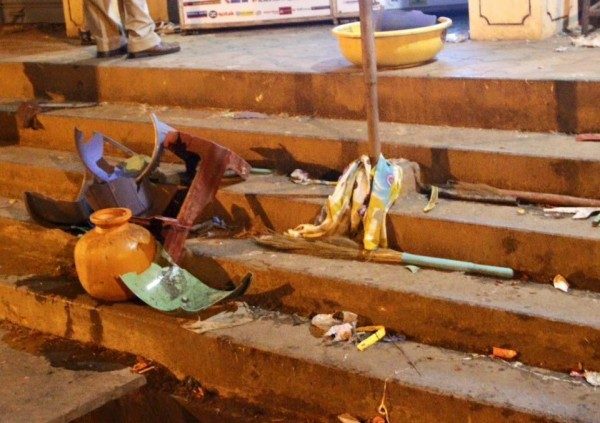 Five persons were injured and one seriously after a Nitrogen filled Balloon filling cylinder blasted on a cycle at Bazar Galli Vadgaon on Tuesday night around 9.45 PM. A loud sound of the blast was heard even 2kms away and many were shocked after the incident. Two children aged 7 and 13 were also injured in the blast. These incidents happen far too often. I hope there is ban on these cylinders.